It’s been a cold and chilly this week and I have been caught out in the rain a once or twice, so I thought a good way to start the weekend would be with a big warming bowl of Chilli con Carne (or rather Chilli con Quorn). 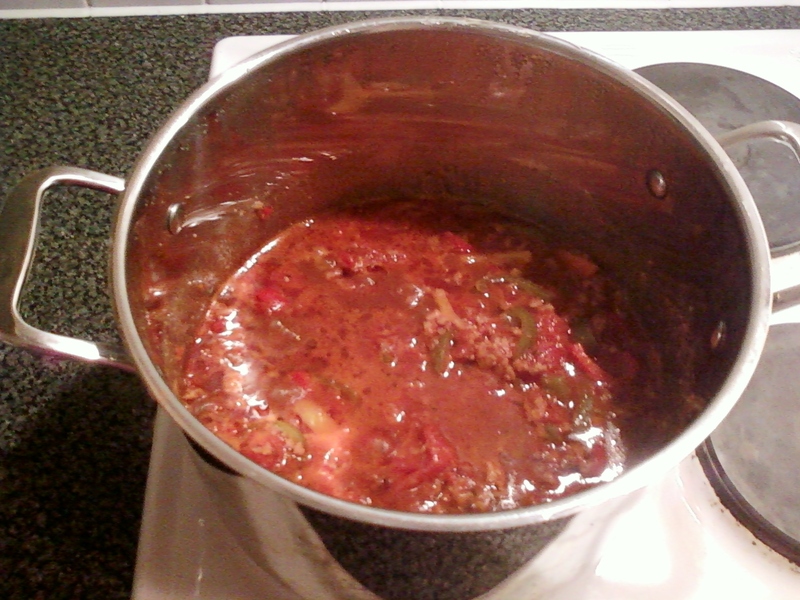 I have made Chilli using lots of recipes over the years. I love Nigella’s Chilli con Carne with Corn Bread from her Feast cookbook and I have found several good recipes on http://www.bbcgoodfod.com. 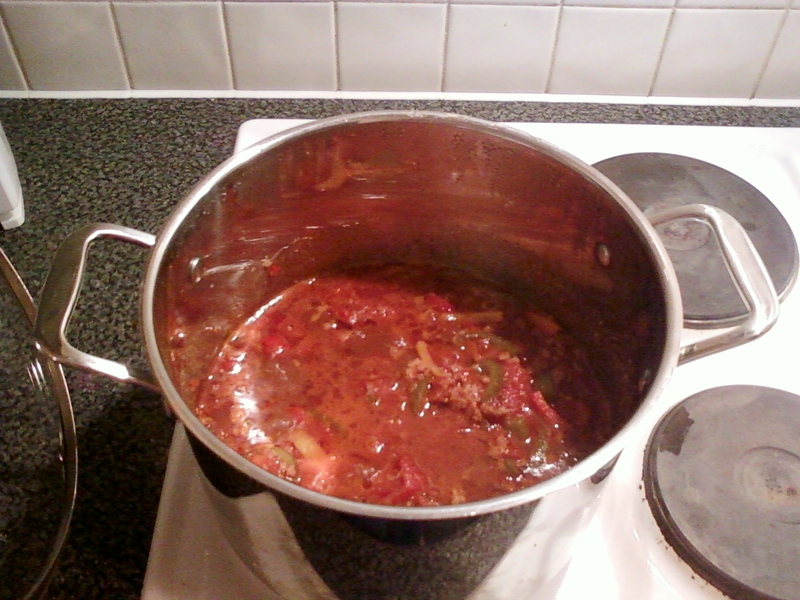 This one is my own recipe and it may not be a strictly traditional Chilli. 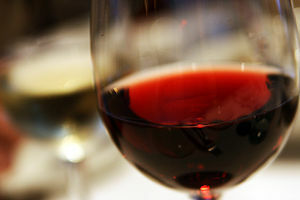 But I love it and make it time and again as it always goes down well. It may sound odd, but I always add Dark Chocolate to my Chilli (and it needs to be dark chocolate). It adds a wonderful richness and depth of flavour to the dish. The dark sweetness of the Chocolate balances the intense heat of the Chilli’s. It isn’t quick to make but neither is it labour intensive and once you haven added all the ingredients you can leave it for half an hour or so to gently bubble away whilst you curl up on the sofa. Preparation Time – 20 mins. 500g Minced Beef (I used Quorn Mince to make it vegi but you could use Beef if your more of a carnivore). A small piece of Dark Chocolate – about the size of your thumb nail. 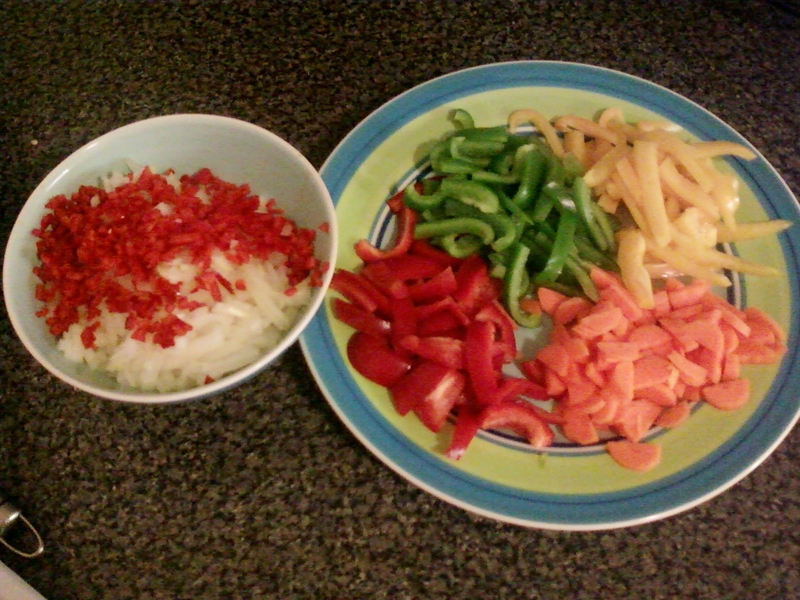 Begin by finely chopping the Onion, Garlic and Chilli’s, set aside. Slice the Pepper’s into thin strips and dice the Carrots. Over a medium heat warm the Oil in a large bottomed pan. Add in the Paprika and Cumin to the Oil and stir. Allow it to warm through for one minute. Add the Garlic, Chilli and Onion stiring in the Oil to coat in the spices. Cook gently for 5 minutes till soft and translucent. Stir in the Carrots and cook for 2 minutes then mix in the Peppers. Stir the vegetables to combine and cook for 5 minutes, softening the Peppers. Con Carne! Add in your Mince. If you are using Beef then brown the meat (If using Quorn you will need to add a little more Oil to stop it sticking). Keep stirring throughout to break the mince up and cook it evenly. Pour in the stock whilst stirring then empty one Can of Tomatoes. Drain the liquid from the second and add the gorgeous Plum Tomatoes. Tip in the Oregano, Black Pepper and Tomato Puree. Stir and bring to the boil. Reduce the heat and simmer with the lid off for 5 minutes. Drop in the Dark Chocolate (be naughty and have a square for yourself!) and allow it to melt before gently stirring. Now place the lid on the pan and Simmer for 20 mins. Stir now and then to prevent it from burning on the bottom. After 15 mins the sauce should have thickened. Drain the beans and mix in. Simmer for a further 10mins with the lid on. Remove the Chilli from the heat and leave it to stand for 10 minutes. This helps the flavours to develop and to melt into each other. Serve with Rice, Sour Cream and relax on the sofa with a big bowl of Chilli and a glass of Red Wine. Thanks I liked your recipe. I also like all the soup recipes on your blog.